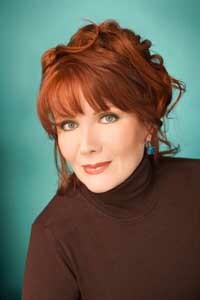 The Fourth of July celebration at Sun Valley Resort will include the return of Maureen McGovern performing her musical memoir "A Long and Winding Road: The Concert" and "An American Salute With the American Festival Chorus and Orchestra" with musical director Craig Jessop. The show starts Sunday, July 3, at 8 p.m. at the Sun Valley Pavilion. Gates open at 7 p.m. Tickets are $29-$68. Song siren McGovern is a Grammy Award nominee for Best New Artist and Best Traditional Pop Vocal. In addition, she has been a guest artist on the Grammy Award-winning Best Musical Recording for Children and the Oscar Award-winning Gold Records "The Morning After" and "We May Never Love Like This Again." Her current PS Classics release, "A Long and Winding Road," which she will perform at the pavilion, was praised by The New York Times as "a captivating musical scrapbook from the 1960s to the early 70s. Ms. McGovern is blessed with a vocal technique second to none." In addition, McGovern has received critical acclaim for musical tributes in her Gershwin, Arlen, Rodgers and Marilyn and Alan Bergman CDs. McGovern's 40-year career also includes her Broadway and Off-Broadway work such as "Little Women, The Musical," in which she was nominated for a 2005 Drama Desk Award for her role of Marmee. Other star performances include "The Pirates of Penzance," "Nine," "Three Penny Opera" and the Broadway 1st National Tours of "Little Women, The Musical" and "The King and I." The American Festival Chorus consists of 250 singers who live within a 50-mile radius of Logan, Utah. The professional American Festival Orchestra is composed of Utah State University music faculty, outstanding musicians in the surrounding community and the Northern Utah region and top select senior Utah State University students. Principal strings are the Fry String Quartet. The American Festival Chorus is presented by Utah State University's Caine College of the Arts. McGovern's return to the Sun Valley Pavilion with the American Festival Chorus and Orchestra was upon the request of resort co-owner Carol Holding, according to Sun Valley Resort Entertainment Director John Mauldin. Tickets are available online at seats.sunvalley.com, at the Sun Valley Recreation Center in the Sun Valley Village, or by calling 622-2135.